Mobile classrooms in St Paul’s Bay will not suffice if a new school is not completed in time. 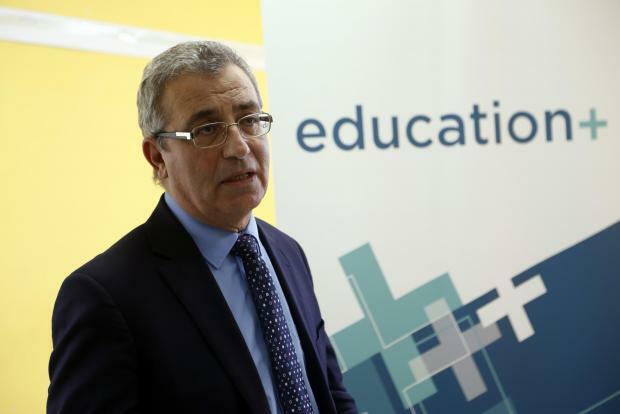 Pre-fabricated classrooms are more comfortable than many of those in Malta’s existing schools, Education Minister Evarist Bartolo said on Tuesday. Mr Bartolo's defence of the mobile classrooms echoed that of the State agency responsible for the public school building programme. Reiterating that the use of mobile classrooms at St Paul’s Bay Primary will cease by next September when a new school in Qawra should open its doors, a spokesman for the Foundation for Tomorrow’s Schools (FTS) described the mobile facilities as “first-class in both quality and equipment”. “One can even argue that the fact that they are air-conditioned makes them better than classrooms in other schools,” the spokesman insisted. Fielding questions from reporters on Tuesday, minister Bartolo said these mobile classrooms had first been introduced around four years ago in some institutions and the government had received “very positive feedback”. “There are whole schools built using these prefabricated facilities in other countries,” he said. The FTS said that a tender issued last week to procure more mobile classrooms and place them at St Paul’s Bay’s Primary was to replace existing ones, and not for new units. Asked to explain why the current mobile classrooms need a replacement, once the FTS is describing them as “first class” and a new school will open in September, the spokesman did not reply. Last week, following a report by this newspaper that the government is planning to place more mobile classrooms in St Paul’s Bay, college principal Patrick Decelis said that this will not be the case. “We have no more space for mobile classrooms at St Paul’s Bay and this won’t be a solution if the new school is not ready on time,” he said. “If this happens, and I hope it won’t, we’ll have to find other alternatives, including that students will start attending schools in other areas,” he said. Pressed to explain why the government issued a tender for more classrooms at St Paul’s Bay at the same time as saying that the new school will be ready this September, Mr Decelis said that most probably this was to replace some mobile offices. However, he did not explain why offices will be replaced with classrooms. Government sources told this newspaper that the tender is the government’s ‘Plan B’ in case the new school misses its completion target once again “as it will probably be the case”. Announced by Education Minister Evarist Bartolo in 2015, the new Qawra School had to be completed in 2017. However, its opening has been postponed from one scholastic year to the other as the agency was engulfed in corruption scandals and repeated changes at its top echelons. 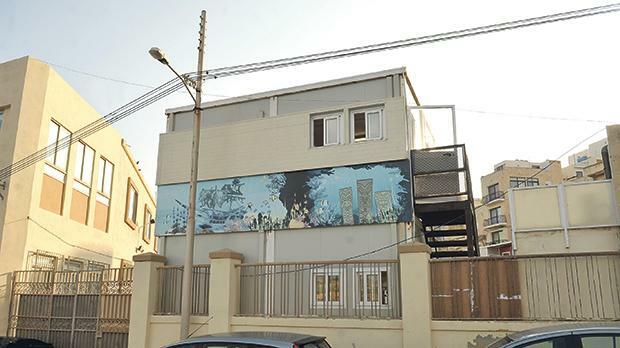 Apart from St Paul’s Bay, the government is now also planning to introduce mobile classrooms at Żejtun’s secondary school until an additional two floors are added to the current building. Also in this case, the completion of works is not on target. Rising immigration has been putting a strain on State facilities in certain localities experiencing phenomenal growth. Between 2015 and last year, the residential population of St Paul’s Bay grew by 26 per cent, mostly through migration. The Nationalist Party said the declaration by the Foundation for Tomorrow’s Schools that the classes in mobile homes were better than some school classes was confirmation of the crisis in the education sector caused by under-investment and poor allocation of resources. Shadow minister Clyde Puli said pupils at St Paul’s Bay School were being made to follow class in containers because of the government’s lack of long-term planning. Instead of opening a new school every year, as the PN governments had done, this government was postponing a school every year. This was also a consequence of the government’s lack of planning when it embarked on growing the economy by growing the population instead of raising production. The PN insisted that the government needed to seriously invest in education and the safety and welfare of pupils and teachers.